This is my first body camera ever, so I have nothing to compare it to. I use it for my job where people associate me with money, and also use it as a camera on my motorcycle. So I use it for more than just a body camera. I do like this camera. It is very simple to set up and get working how you like. I will say the APP works great but it is a little tougher to view videos. They have to download first. I can connect it right to the laptop and view immediately. Little more convenient. I do not know how long the battery will last, because it never runs low for me, and I run it at least 7 hrs a day. I will say this is my 3rd one. First one right out of the box was acting crazy (I thought it was me) but it quit downloading after about a month. Second one worked great but after about 2 months the audio stopped working. I have been using the third one now for about 2-3 months, it seems to be working great. I will say that Stunt Cams was GREAT on replacing or repairing my camera. First they tried to fix by email to keep me from being without my camera, when I had to send it back in it was repaired or replaced and sent back right away. I was only without my camera maybe 6-8 days. I would recommend this camera to anyone. Easy to use and set up. 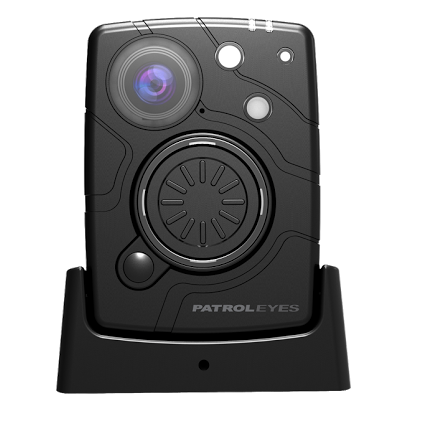 Small and sturdy, not just a body cam but can be used as a dash cam also.